This is where tonne after tonne of household recycling from yellow-topped bins ends up after it is hauled away from kerbs across the city — milk bottles, cereal boxes, tins, beer cans. 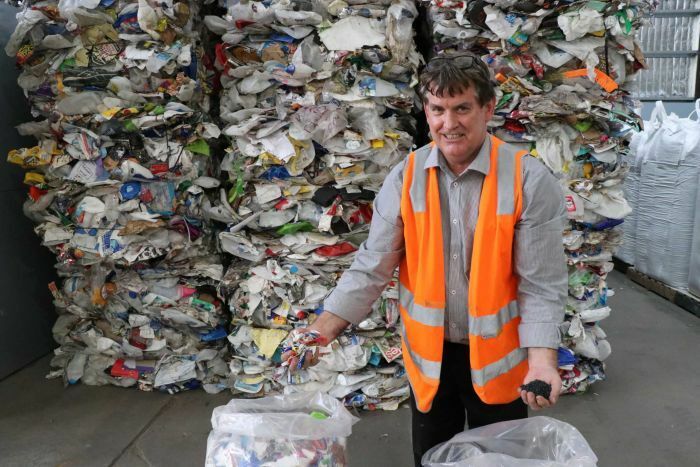 In the 12 months since China stopped taking Australia’s recycling, truckloads of plastic, glass and paper have continued pouring into sorting centres like this one across the country. It was hoped that the recycling crisis would kick-start a “circular economy” in Australia — where recycling waste piles like this would be processed locally rather than discarded or exported. But today, some of what households put in the yellow bin is still shipped to alternative offshore markets such as Thailand, Malaysia, India, Vietnam and Indonesia. In fact, we are now sending more of our waste overseas than we did before the China ban. 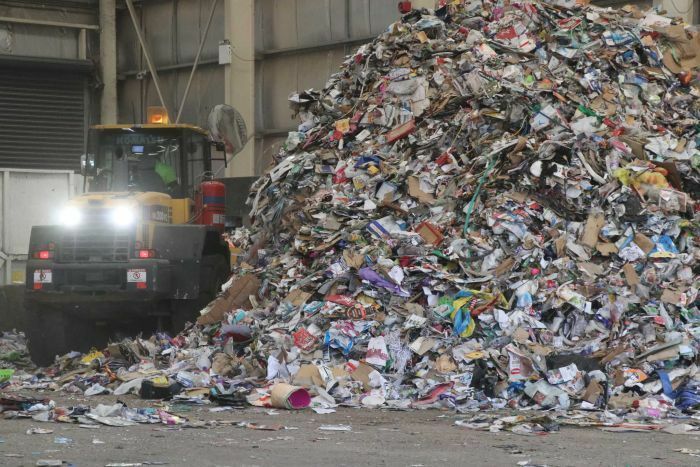 With recyclers struggling, dozens of councils, most recently in Victoria, have been forced to send material to landfill. But at the Northern Adelaide Waste Management Authority Resource Recovery Centre (NAWMA), it’s a different story. 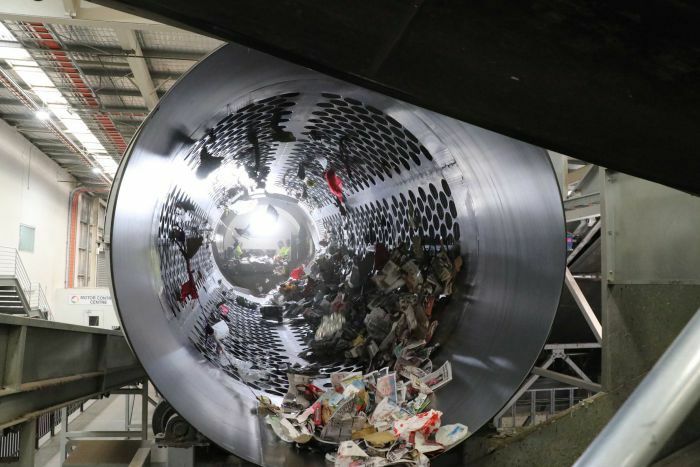 The facility is already directing about 80 per cent of its recycling to domestic remanufacturing, a sign that a nascent “circular economy” is taking form regardless of government inaction over the past year. “We’re going to use a hundred per cent of what our residents put in that yellow-top bin on Australian shores by 2020,” the NAWMA facility’s chief executive, Adam Faulkner told ABC News. But very soon Australia will be hit with another shock as other export destinations start to close their borders to our waste. Waste industry experts are warning that the circular economy is not coming fast enough on its own steam. 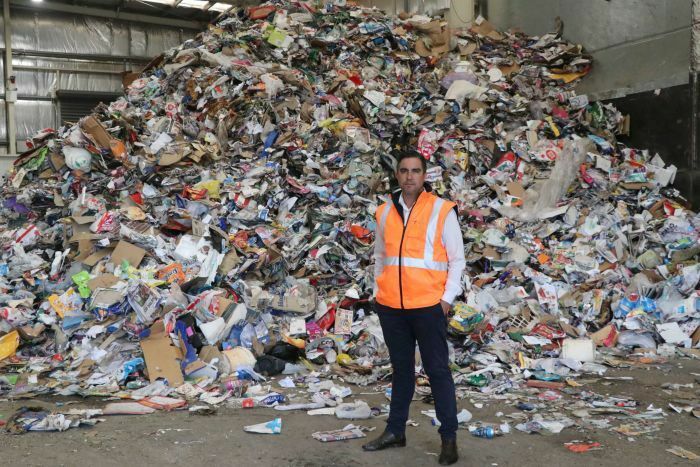 Just across town, Recycled Plastics Australia general manager Stephen Scherer walks between towering white sacks lined up on pallets in orderly rows. Each bag is filled to the brim with dark pellets, roughly the size of coffee beans, which are made from scrap household plastics dumped in a yellow-top bin. These pellets are the building blocks for new plastic products. They are 90 to 95 per cent pure and can be used to manufacture any plastic goods other than food containers — and at a cost cheaper than virgin plastics. “Whoever packages shampoo or household industrial chemicals produces packaging,” Mr Scherer explains. “It’s filled with their product, their product goes to the supermarket, the consumer takes it home, when they’re finished with it, they put it in their yellow bin. The RPA plant is one of only a few in the world that can take the lowest form of plastic waste from kerb-side bins and transform it into a highest-quality raw material. According to Mr Scherer, the factory’s real innovation is in uniting multiple processes to sort, clean and remanufacture plastics all under the one roof. “What’s extraordinary is that not that many people have figured out how to do it,” Mr Scherer says. The massive facility — the result of a $20-million investment — is divided into three areas. The first section is where all non-plastic items are removed. The waste then moves to the sophisticated sorting process employing a range of different machines that have been put together in a unique way. One of the techniques involves what’s called an optical sorter. A light source is reflected off the plastic 400 times a second while a computer recognises the light’s wavelength as a type of plastic. From there, the plastic is washed again and melted down to form the pellets. The resulting material is currently sold to several companies including Garden City Plastics, which makes flower pots for nursery growers. It’s been using recycled plastic since it went into business in 1975 and the products it makes are recyclable too. But despite seemingly cracking one part of the “circular economy” and offering a cheaper product, Mr Scherer says it’s currently hard to find buyers because companies don’t want to take the risk. He says the Federal Government has been absent from the conversation about waste, while Australians are operating in a culture where “we don’t do what we’re not forced to do”. “If the Federal Government mandated the use of recycled plastic in packaging, the take-up would be massive,” he says. RPA’s long-term vision is to be adopted by the big brands and to expand into other product ranges, but for now it’s still early days for Australia’s circular economy. 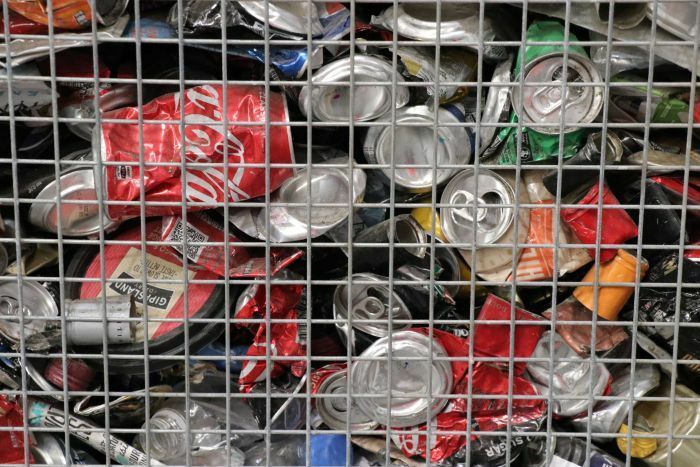 “The product that we are processing now has been going into landfill [until] very recently,” he says, referring to the recent recycling crisis in Victoria. RPA is not the only business finding a use for recycled plastic. The ACT Government has agreed to its first trial of a suburban road made of recycled materials. The company behind the technology, Downer, says the new type of asphalt — called Reconophalt — is a better-performing, more-durable product than traditional asphalt. Reconophalt includes soft plastics such as plastic bags, which aren’t recyclable in yellow bins, and glass sand, which is made locally by crushing recycled glass. Dante Cremasco, the executive general manager for Downer’s roads division, says the product is the result of 15 years of research and development. But there’s one missing ingredient. “It’s the willingness of our customers — and these are the government organisations — to embrace sustainable materials,” Mr Cremasco says. 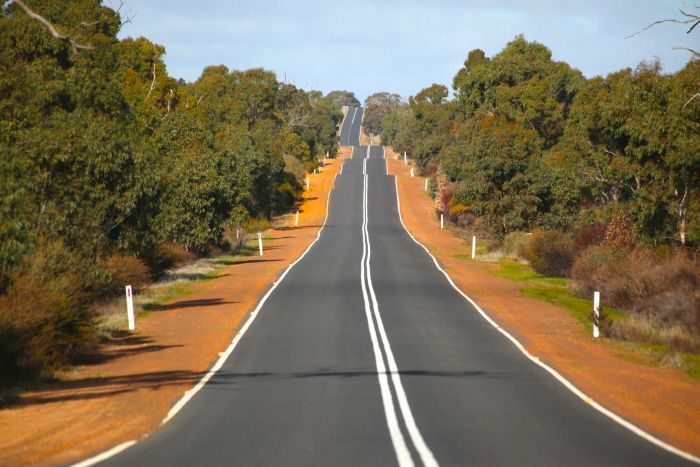 The road project in Canberra cost twice as much as normal, but Downer is taking the hit. “Obviously we’re charging like we would with a regular exercise, but with anything if we get scale it becomes our norm,” he says. Gayle Sloan’s frustrations with the lack of Federal Government action are well known. 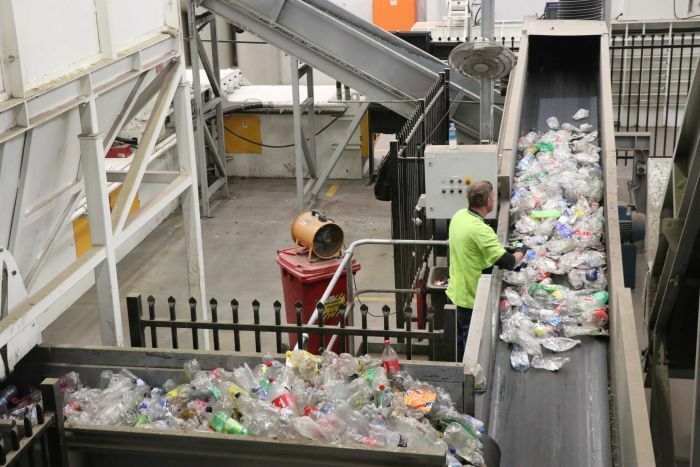 The Waste Management and Resource Recovery Association of Australia (WMRR) chief executive officer says the 1.2 million tonnes of recyclable materials households are producing could be turned into jobs and investment if the circular economy can only take off. But since the crisis of a year ago, the Federal Government has “done nothing”. 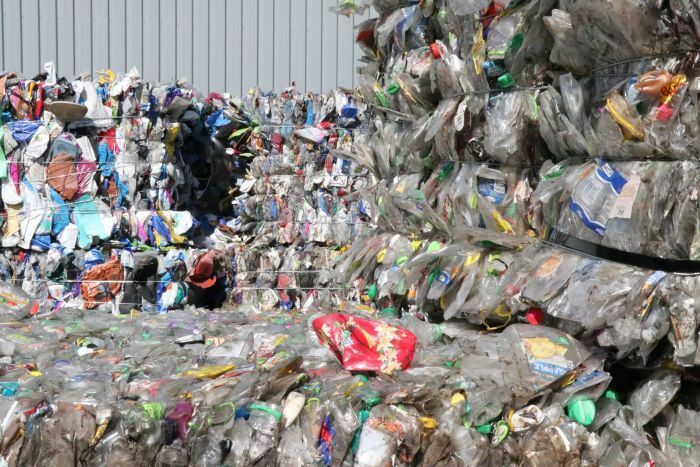 Mandating the use of recycled material in packaging and construction would mean recyclers could supply a domestic market with scale that would create thousands of jobs. Ms Sloan says the Federal Government cannot afford to take a hands-off approach and leave regulation to the states. “The reality is, whether the Federal Government like it or not, we are a common market,” she said. “Most of the companies are multinationals and work across Australia. They don’t want a response on a state-by-state basis. WMRR is calling for tax incentives and a change in the criteria for grants to deal with over-supply and under demand. “One of the biggest Federal Government grants is to local councils for roads. If they mandated the use of recycled content, boom — there goes demand increasing overnight,” Ms Sloan said. In a statement, the Environment Minister Melissa Price says the Government has been preparing a National Action Plan. It is also supporting projects that divert waste from landfill. The Minister cited the Environment Restoration Fund announced in the budget, which will spend $100 million to provide national leadership on long-term environmental issues including waste and recycling and $22 million to support local community action. The recycling industry does not see these measures as helping develop a circular economy which will address the 1.2 million tonne surplus of waste, or grow demand for the rubbish sent offshore. Back in North Adelaide, Adam Faulkner is pressing ahead with his ambitious targets despite the most immediate operational obstacle — the contamination level he’s seeing in people’s yellow bins. “Our biggest challenge is actually getting our residents to use those bins responsibly,” he says. Ms Sloan agrees there are major hurdles to overcome with Australian packaging. Consumers need clear labels telling them what’s recyclable and what contains recycled content. But for now, “Please keep recycling,” she says.